Tunkers Vibratory Dampeners | GeoQuip Inc.
Tunkers dampeners minimize wear and tear on cranes, which helps projects to run more safely and more smoothly. 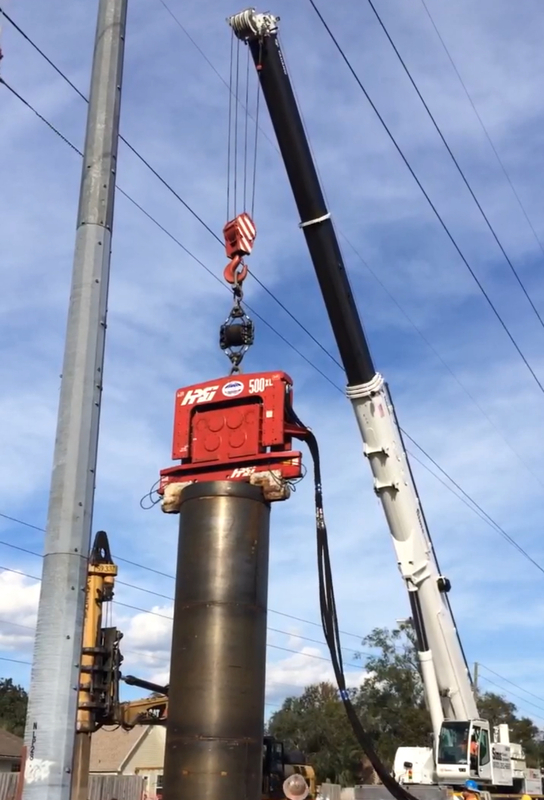 Another major benefit of the dampener is that hydraulic-boom cranes can safely be used for vibratory hammer operation. Many major crane rental companies now require the dampener due to the high level of protection it provides the crane. HPSI 300 Vibratory Hammer W/ Tunkers SD70 Demonstration. Note how little vibration is transferred to the crane line at the initial start-up of the hammer.